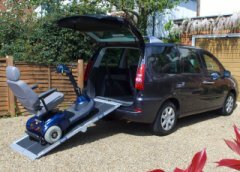 We are quite often asked what are the best ramps for loading wheelchairs in to cars or vans. We provide 3 main options which are all displayed on our Wheelchair Ramps for Cars page. 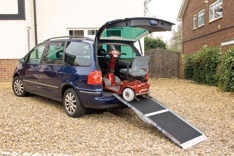 Broadfold Wheelchair Ramp – A simple and cost-effective scooter ramp which is ideal for loading 3 wheel or 4 wheel scooters in to cars, vans, other vehicles as well as many other uses. Lifestyle Wheelchair Ramp – The Aerolight-Lifestyle is established as one of the most innovative scooter ramps available. This unique ramps’ two halfs make it very light to carry, easy to store and ideal as a ramp for vans. 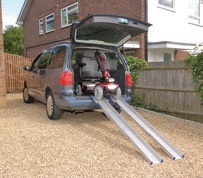 Telescopic Channel Ramps – The most adjustable ramp in the range can reach up to nearly 3m, yet is compact enough to be easily stored in the car or van. Available in either 2 or 3 section versions to suit your storage requirements.